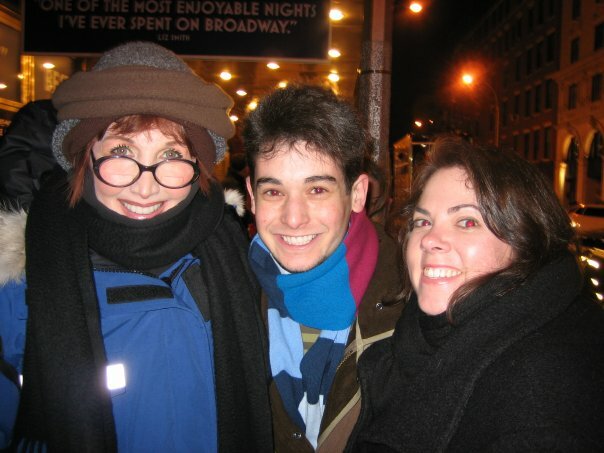 All I need is these two: Joanna Gleason and Chip Zien. They were the original Baker and His Wife in Into the Woods. She won the 1988 Tony Award for Best Actress in a Musical. He's in the show again, now in the Public Theatre's revival of Into the Woods playing at the Delacorte in Central Park. In a turn of brilliant casting, this time he's playing Mysterious Man. This photo was taken at last night's Opening of the production. I'm reminded of the time in 2005 when Noah and I were walking on 8th avenue and saw the two of them walking toward us. Noah texted Kevin, "We just saw the Baker and his wife!" Kevin's response, "You just saw Patti LuPone and Paul Sorvino?" Oh, so many Broadway bakers and wives. Joanna was starting in Dirty Rotten Scoundrels and Chip was starring in Chitty Chitty Bang Bang. What a year that was! ﻿﻿ The two reunited a couple of seasons ago at the Sondheim Birthday concert thrown by the New York Philharmonic. Bliss.